Duo Country US composé de Gary B. Baker & Frank J. Myers. Baker & Myers were professional contemporary country songwriters based in Nashville. 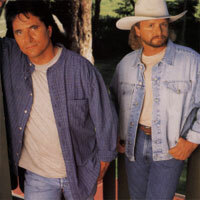 After Alabama had a hit with the duo's "Once in a Lifetime" and John Michael Montgomery took "I Swear" to number one (the song was also a pop and R&B hit by All 4 One), Baker & Myers launched a performing career, releasing their eponymous debut on Curb Records in the fall of 1995.